Contouring & Highlighting can go a long way to give your face that celebrity look. It’s just about elevating the bone structure without using a ton of product. 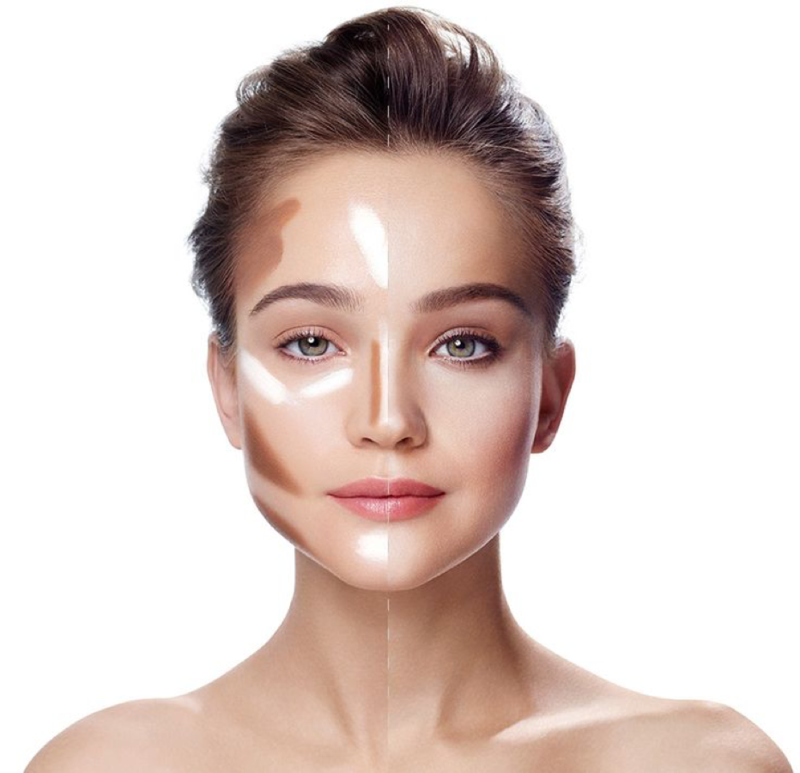 Contour in cosmetic term means “creating shadow” whereas highlighting simply means “adding lighting” to give your face or body that so desired look. 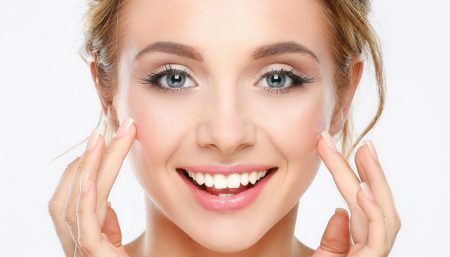 There are innumerable products in the market, that can leave you confused, here we bring you simple tips to give your face that extra lift. Your face shape will decide the desired contouring or shaping, for some faces need more highlighting while others need more contouring to help create the desired shape. Also the choice of colour tone of the products is important. Pick colours suited to your skin tone, ideally 2 shades lighter for a highlighter and 2 shades darker for a contour. This really gives the illusion of shadow. 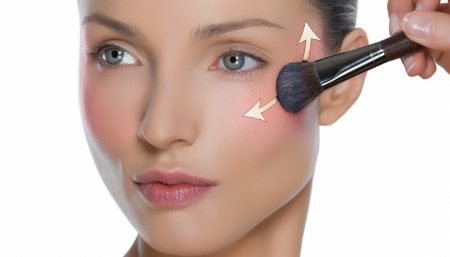 Sweep your contour colour under your cheekbone using a soft, angled brush. You can find your cheekbone easily using your fingers – apply the colour just beneath the hollow of your cheekbones. Blend it using your fingers in upwards direction. 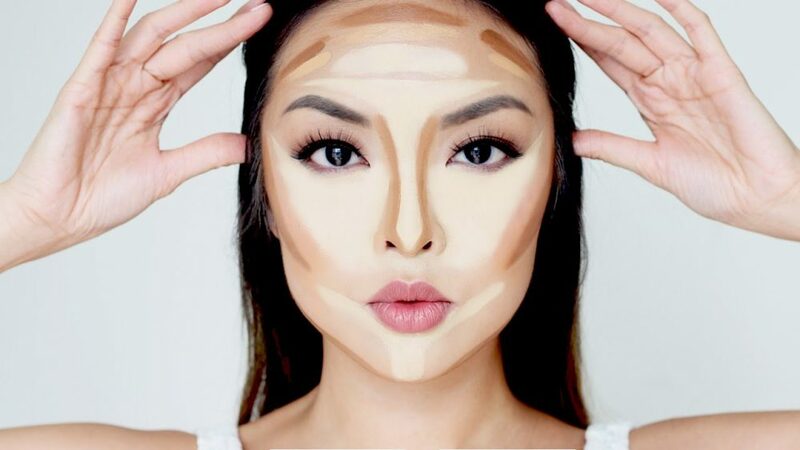 If you blend down, you will lose the height of your cheekbone and your face will just look muddy. Blend the contour colour into the hairline. This will help give your skin a healthy glow and disguise a large or flat forehead. To make your nose look straighter, use your fingers to rub a little contour powder along the sides of your nose. Blend well. 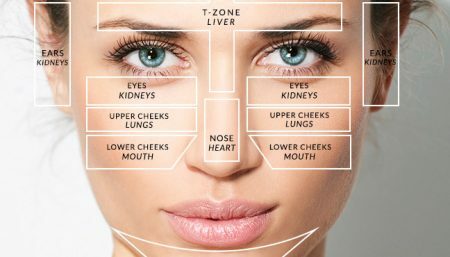 Avoid going right to the tip of your nose or it will end up looking too thin. If you want your nose to appear shorter, run a little contour along the nostrils. If your chin is starting to droop a little, just sweep a touch of contour powder under the jaw line to instantly hide any saggy bits and look years younger. For that added definition, brush a little bit of the contour powder above the inner corner of your eye up to the brow – you’ll instantly see your eyes look more defined and really pop! Highlighter reflects the light well, so only apply it to the places you want to draw attention to. As a finishing touch, dab a little bit of highlighter onto your cupid’s bow (the little dip in your upper lip). Note: If you’re not exactly sure where this is, use this trick: Smile with your mouth closed and apply highlighter on the area where your cheeks puff up. Then diffuse the formula up slightly toward your eyes. Start by contouring the corners of your face to make them appear less angular, slim your face down and give it a softer edge. By adding highlight to your forehead and chin you give your face more dimension and a less flat appearance. 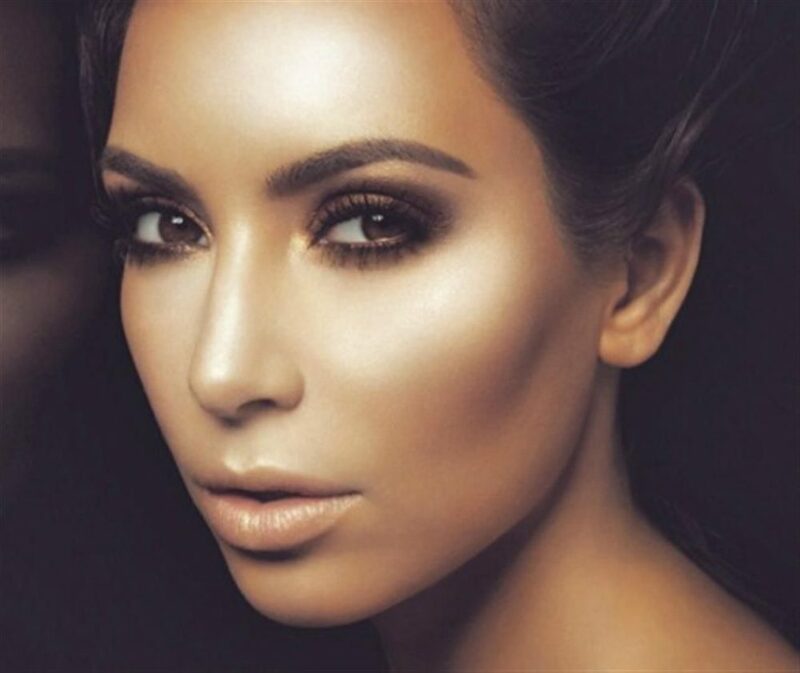 Highlighting under the eye area will bring cheekbones forwards, detracting away from the width of your face. Highlighting your forehead and chin will add more definition and a gentle sheen to the skin. With contouring successfully you can narrow a wide forehead, soften a strong jaw line and draw the eye away from a strong or prominent chin. 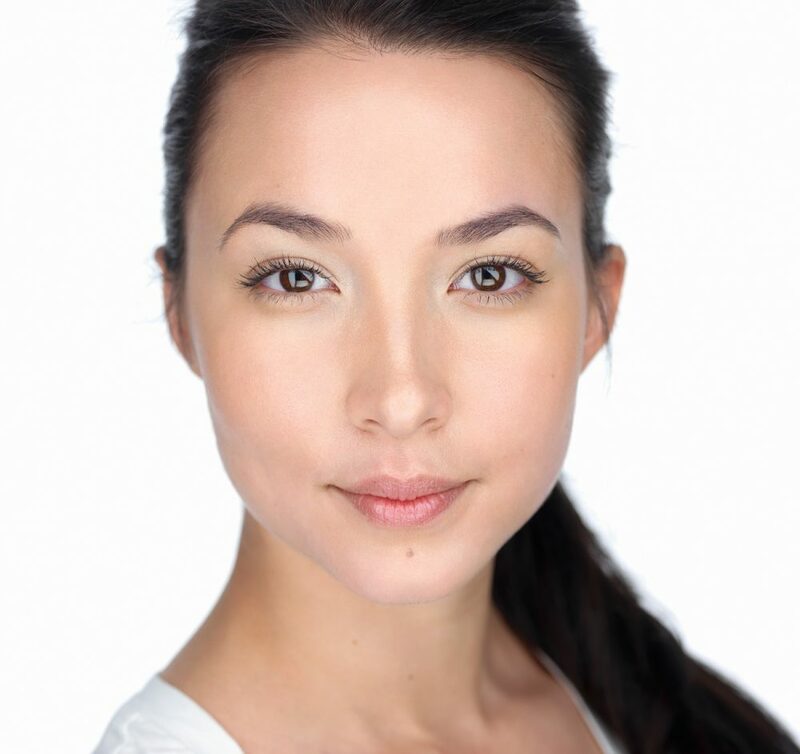 As your face is round you need to add some structure back into your face so it appears more oval. You will need quite a bit of contouring on the temples, cheekbones and the sides of the jawline which will give you more definition. Use the highlighter on your chin and forehead which will bring these areas forward and create angles to the face. You can also create fuller looking lips by highlighting you Cupid’s bow. Highlighting will bring areas of your face into focus and make them more prominent. If it’s cheekbones you are after then contour as guided for round face. The important tips to remember are, less is more, Subtle is elegant but defined, Don’t forget to add some colour to your cheeks, & last but not the least, practice, practice, practice! Fitness For Models How do Celebrities Prepare for Big Events?